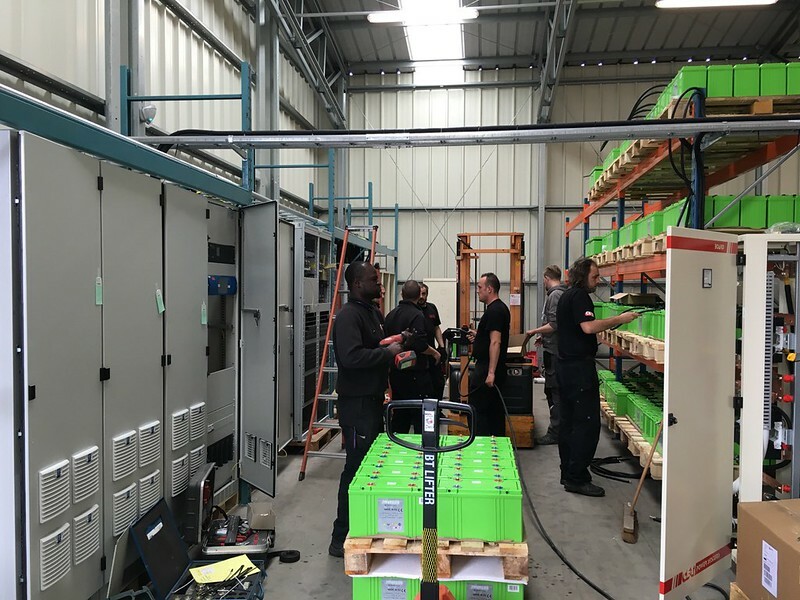 These weeks, our testing lab team has been put under great pressure with the installation of a full setup of modular inverters for large (> 75kW) and super large systems (> 225kW), until 1 MW. These large and super large systems are used for example by the telecom industry, for safety lightings in public buildings (offices, stations, airports, hospitals, etc. ), and for datacenters. This setup was made to enable us to organize Factory Acceptance Tests for such high loads: we test the ordered equipment at our plant, in your presence, prior to transport and installation at your site. For several days, our technicians have been testing theses 120kW, 400kW and 800kW systems.